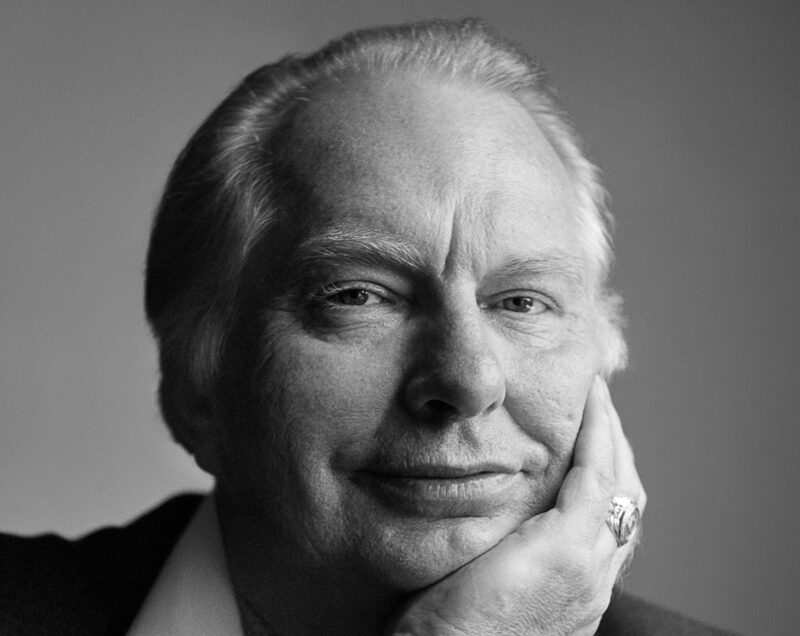 L. Ron Hubbard – the founder of the Church of Scientology. This is pretty widely known. But what is fading into the background between all the polemic about whether Scientology is good or bad is the fact that in these modern, civilized times a new religion was founded. Instinctively we would say that religions are artefacts of the past and do not really belong in our times. The fact that in the 20th Century a new religion was founded should make us suspicious, even interested – how come? The facts are that L. Ron Hubbard put up a new religion within 25 years. His active period was from 1950 to 1975, after which he was no longer doing research and was no more the “owner” or “leader” of the Church of Scientology anymore. From all the independent reports we have today we have to assume that after 1975 he was withdrawing from the church and certainly – for whatever reasons – was hiding both in general and from the church and had almost no contact with it. His wife was complaining about it, and she was to the end of her life in the church. It is believed that they have not lived together since around the late 1970s. It is also doubtful if he died at the time which was officially announced. You can find very contradictory data about that. But to set up a world-embracing church within 25 years, having members numbering several hundred thousands, and being known by a high percentage of people especially in the Western World is an outstanding result! Scientology is not just a flash in the pan. Scientology in its roots is not a commercial company and it does not sell goods known to man. It is not comparable to Microsoft or an Oil company. There are endless accusations that Scientology is a heavy commercial institution – there is no intention to justify the actions of the Church of Scientology. I have been member in it myself and I have seen things I cannot call “civilized”. For some actions I do not even have words. For some it is bizarre that you can take money for a religious service. However, that is a very normal action. Priests from all kind of churches earn a salary and often are not badly paid at all. In other words, the fact that Hubbard made sure that his ministers are paid only shows his far-sightedness and sanity. How can a church survive if the members don’t? Unfortunately I never met Hubbard personally. From unbiased reports, he must have been a warm, understanding being. He was certainly a genius and had an extraordinarily high output. He had a very high ability to communicate himself by spoken as well as by written words. When I listen to his lectures I wonder again and again about his conceptual understanding, how he was able to explain what he wanted to teach you, with facts and humour, with emotions and intention. He was very vivid. He had an understanding which was way ahead of his time. He was also demanding and delegating. His attitude was: you are able, and you can do it. He didn’t accept justifications and excuses. The more time passed, the more that side in him became prevalent, even dominant. Especially in his later years, I guess, it was hard to live with him. But this is just how he was, a human being. We should never forget that. He was a man in flesh and blood, he had been married three times, and had seven children. He had his own character, he even smoked as did many people in his day. He was a genius, but fully human. He was not a god who founded a church. And he was not an ambassador of God. He did not even claim that he invented everything that you find in Scientology. He took every good idea available and put them together as a synthesis – and based on all that he started to find techniques specifying how man can be improved. And this is what makes Scientology that much different to other religions: It has a very large number of techniques detailing how man can be improved. Most of them are surprisingly simple, and can be applied by a newcomer easily. Some of them demand high skills. The profit can be that one feels better, that you recover (and more easily) from past events which were affecting one’s health and sanity. And the profit very often is an improvement of awareness. It leads to spiritual freedom. There are huge controversies about Hubbard. However, I dare to say he was a great friend to mankind. He gave to us, to Man, a philosophy you can apply directly in life. You can read it and apply it instantly and it increases the viability and quality of your life. Hubbard had a big goal – actually almost an unrealistic goal – but nevertheless needed and wanted very much, more than ever: a civilization without insanity, without criminals and without war (Footnote 1). Throughout his work you can recognize that aim again and again. All his teaching had this in common. Let me confirm that his intention was to create a world without war, criminality and insanity. The short term for that is what he called “a Clear Planet”. And this is what a high percentage of the population are going for, working for, living for. Not only in Scientology, but it is a goal sometimes people are willing to give their lives for and quite often are willing to give all their possessions for. Unfortunately this is sometimes misused, heartbreakingly, in the Church of Scientology. Hubbard founded a church, not only because it gives Scientology protection and longevity, but because Scientology is a religion, undoubtedly. From all his teachings it is very obvious that he invented Scientology for every woman and every man. He didn’t intend a monopoly on it, he was never restrictive, he made it available to everyone, he considered his work free (Footnote 2). 1) A civilization without insanity, without criminals and without war, where the able can prosper and honest beings can have rights, and where Man is free to rise to greater heights, are the aims of Scientology.” LRH, Aims of Scientology, September 1965. 2) It comments poorly on Man’s dullness that this project was impeded and slowed greatly by lack of funds and by very active efforts on the part of some to acquire and own the copyrights of Dianetics.” Book: History of Man. “Dianetics is not in any way covered by legislation anywhere, for no law can prevent one man sitting down and telling another man his troubles, and if anyone wants a monopoly on Dianetics, be assured that he wants it for reasons which have to do not with Dianetics but with profit.” Book: Dianetics: The Modern Science of Mental Heath.